After leading the NCAA in scoring and being named College Player of the Year in each of his three varsity seasons, Oscar Robertson took his talent overseas and led USA Basketball to gold medal glory at the 1960 Olympics in Rome. 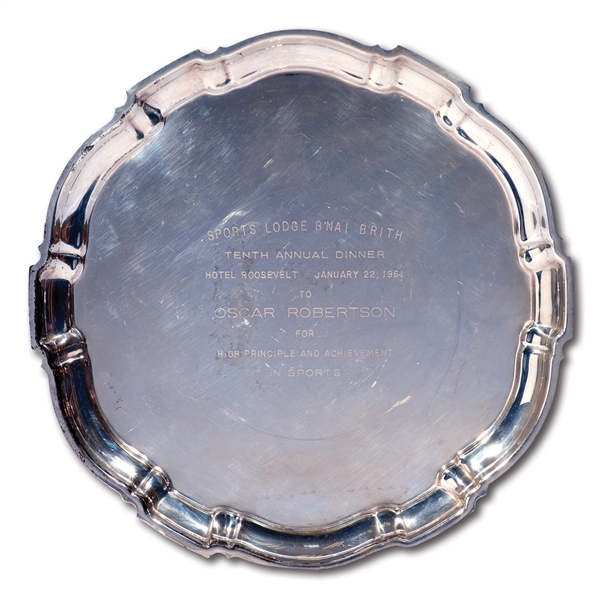 In the middle of his Rookie of the Year campaign in the NBA, The Big O was awarded this Sterling silver presentation plate by B'Nai B'Rith, the oldest and most prestigious Jewish service organization in the world. 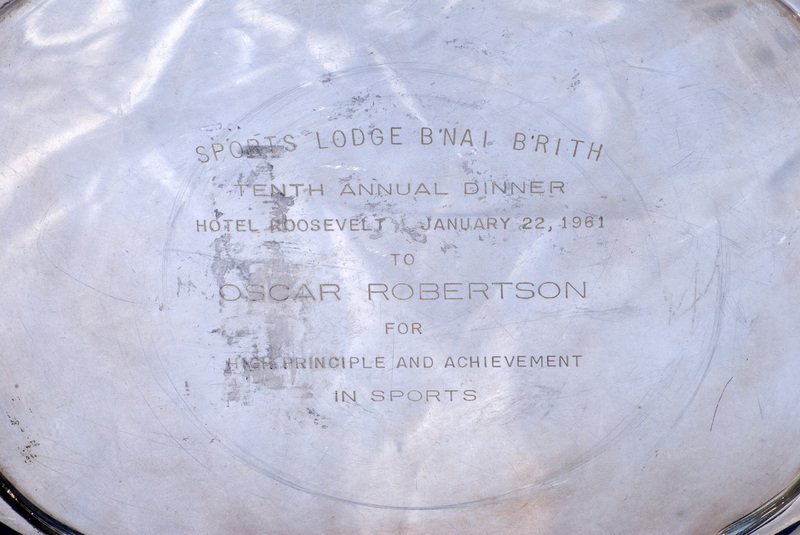 Founded in 1843 in New York City, B'Nai B'Rith has given out awards to the world's most important athletes such as Muhammad Ali, Jackie Robinson and many more. 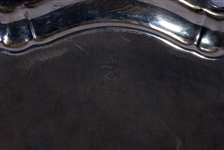 At the 10th annual dinner at the Roosevelt Hotel in NYC, Robertson received this shiny Sterling silver platter inscribed, "Sports Lodge B’NAI B’RITH Sterling Silver Platter award. 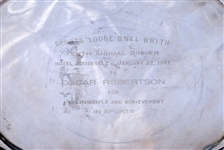 Measuring 12” X 12,” it bears the engraved inscription “SPORTS LODGE B’NAI B’RITH - TENTH ANNUAL DINNER - HOTEL ROOSEVELT JANUARY 22, 1961 - To Oscar Robertson For High Principle and Achievement In Sports." Platter remains in great condition with no dents and some scratches, with “Sterling by Poole 100 Chippendale" hallmarked on the reverse. Includes LOA from Oscar Robertson.